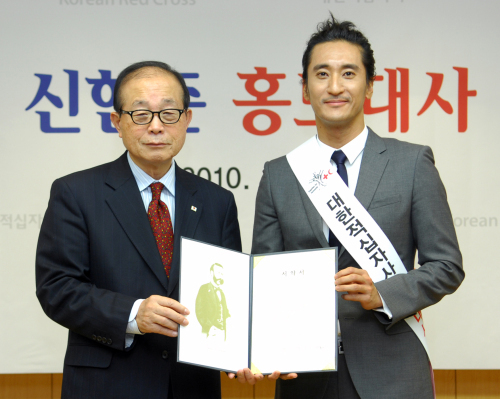 Korea National Red Cross has appointed actor Shin Hyun-joon as its goodwill ambassador to publicize and participate in its humanitarian projects at home and abroad. Shin currently hosts a KBS program on entertainment news. He visited Haiti for voluntary work as part of an MBC program where cast members go overseas to help the needy in foreign countries. Existing Korea Red Cross publicity envoys include Hwang Soo-gwan, an adjunct medical professor of Yonsei University, actor Chang Geun-suk and professional golfer Jang Jeong.